Bruce is Co-Director of the Columbia University Justice Lab and Professor of Sociology at Columbia University. He is the author of Punishment and Inequality in America (2006) and Homeward: Life in the Year After Prison (2018). In 2014, Bruce was the Vice-Chair on the National Academy of Science panel on high rates of incarceration in the United States, led by Jeremy Travis. From 2014 to 2017, Bruce chaired the Harvard Executive Session on Community Corrections. Bruce is a Guggenheim Fellow, a member of the National Academy of Sciences, and the American Academy of Arts and Sciences. Jeremy is Executive Vice President of Criminal Justice at the Laura and John Arnold Foundation where he heads up the Foundation’s Criminal Justice Initiative (CJI). The CJI is developing and implementing a cross-cutting strategy focused on policing, pretrial justice, community supervision, prisons, and reintegration. Jeremy joined the Arnold Foundation after serving for 13 years as president of John Jay College of Criminal Justice at the City University of New York (CUNY). Under his leadership, John Jay launched research centers on topics such as violence, prisoner reentry, juvenile justice, policing, race, cybercrime, terrorism, and the role of prosecutors. Prior to his time at John Jay, Jeremy was a senior fellow with the Justice Policy Center at the Urban Institute. There, he launched a national research program focused on prisoner reentry into society and initiated research agendas on crime in a community context, sentencing, and international crime. Before that, Jeremy served as director of the National Institute of Justice (NIJ). At NIJ, he established major initiatives to assess crime trends; evaluate federal anti-crime efforts; foster community policing and new law enforcement technologies; advance forensic sciences; and bolster research on counter-terrorism strategies. He earned his JD and MPA from New York University and his BA from Yale College. Katharine serves as the Executive Director of the Square One Project. She is a Founding Principal at The Raben Group, a national advocacy, strategy, and communications firm based in Washington DC. For over 14 years, her work at Raben has focused primarily on criminal justice reform, civil and human rights advocacy, and evidence-based policymaking. 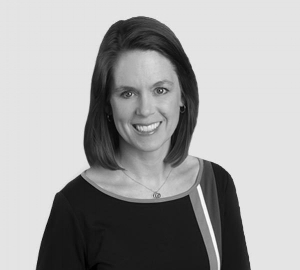 Katharine’s portfolio comprises multi-faceted projects that draw on political strategy, legal analysis, strategic communications, and creative outreach to a variety of people, communities, and stakeholders. Prior to joining Raben, Katharine was the Director of State Affairs at the Drug Policy Alliance, where she also opened the organization’s first state-based office in New Mexico. She began practicing law at the Southern Center for Human Rights as a Soros Justice Fellow where she represented incarcerated people in southeastern prisons. Katharine received her BA from Emory University, where she was a Robert W. Woodruff Scholar, and her JD from Yale Law School. She serves on the Boards of the Southern Center for Human Rights and the Justice Policy Institute and the D.C. Corrections Information Council; and is the 2017 recipient of the D.C. Human Rights Commission’s Cornelius “Neil” Alexander Humanitarian Award for contributions to advancing civil rights and commitment to criminal justice reform. Anamika is the Manager of the Executive Session on the Future of Justice Policy, a component of the Square One Project. In this role, she supports a three-year series of meetings and an ongoing communications effort that brings together leading scholars, practitioners, and change makers to rethink the foundation of criminal justice policy and propel reform. 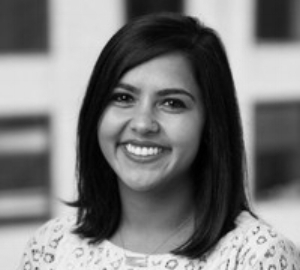 Prior to joining the Square One team, Anamika worked at Urban Institute's Justice Policy Center where she conducted qualitative research and managed projects focused on policing, community-driven responses to crime, and gun violence. On her path to criminal justice reform, Anamika served as a high school teacher in Prince George's County, Maryland. The problem of structural racism and its manifestation in the U.S. education and criminal justice systems motivates her work. Anamika holds a Master in Public Policy from the Harvard Kennedy School, a Master of Arts in Teaching from American University, and a Bachelor of Arts in Biological Sciences from Northwestern University. Sukyi manages the Square One Project’s Roundtable on the Future of Justice Policy, and draws together academics, advocates, community leaders, and practitioners in three-day convenings to drive understanding and innovation in criminal justice reform. Sukyi hails from Austin, Texas, where she serves as the Board Chair at Austin Justice Coalition, a black-led grassroots organization focused on local and statewide criminal justice reform, educational justice, community empowerment, and civic engagement. She also sits on the board of Turkey City Writers Workshop, whose mission is to champion writers of color in the speculative fiction genre through sponsorship and mentorship at writing workshops. Most recently, she worked as the Policy Coordinator at Just Liberty, a bi-partisan 501(c)(4) dedicated to comprehensive criminal justice reform in Texas. At Just Liberty, she helped to build, manage, and engage a list of tens of thousands of criminal justice reformers across Texas. Sukyi also an appointed member of the City of Austin’s Human Rights Commission. Her formal education includes a B.A. and M.A. in Literature from Texas Tech University and Texas State University-San Marcos, respectively.